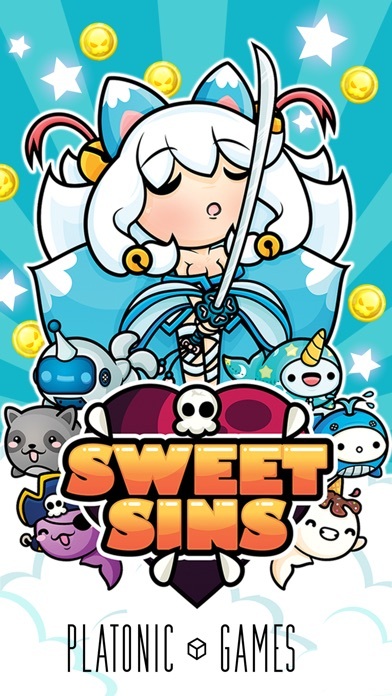 Sweet Sins is an original kawaii infinite runner where you lead Lust, Gluttony, Greed, Sloth, Wrath, Envy and Pride on their journey through redemption! Very easy to play but hard to master! 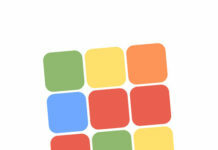 - Simple and intuitive swipe controls (swipe left to move left, swipe right to move right and swipe up to attack). 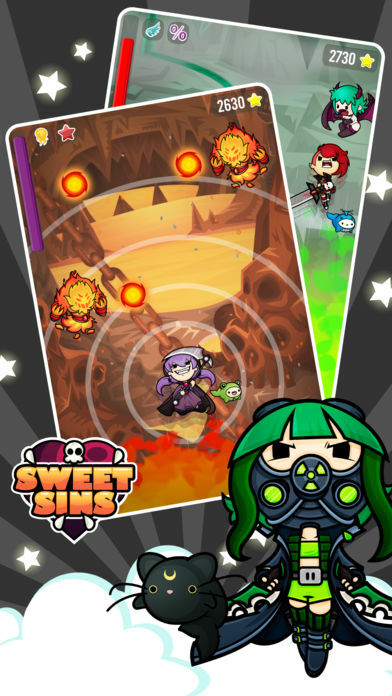 The whole family can play and enjoy Sweet Sins! 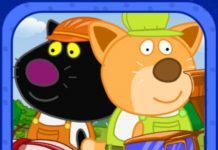 - NEW CHARACTER! Luci, Queen of the Abyss, joins the adventure! 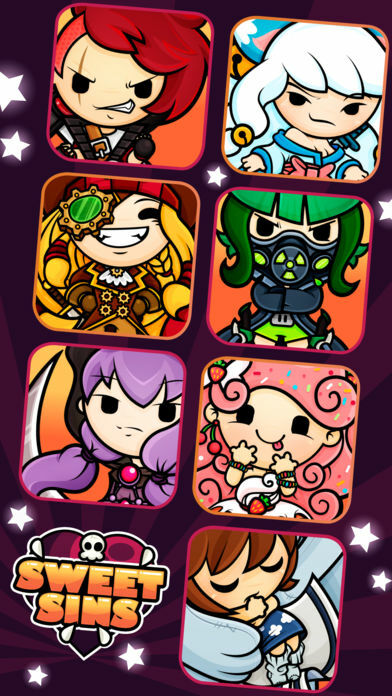 - Tons of cute Miimo pets are waiting for you. Gotta catch them all! 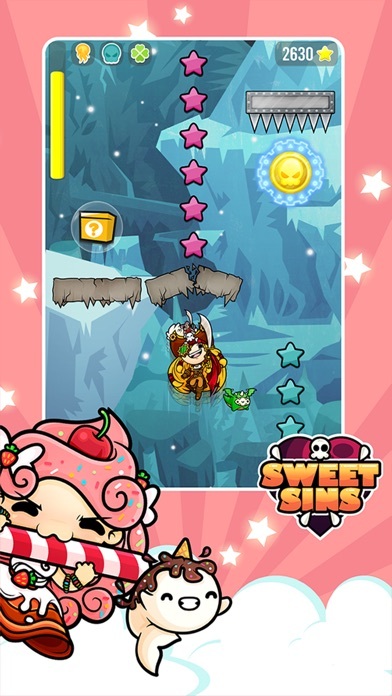 - Awesome levels and fun quests that will keep you entertained for hours! 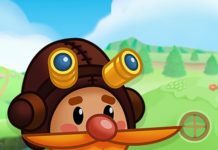 Cross the sky while collecting hearts, stars, runes & piñatas! - Special offers, pets and gifts will be added with holidays updates: Easter, Halloween, Christmas and other limited time events! Thanks to all of you who supports us through social media! You are awesome and we truly love you! 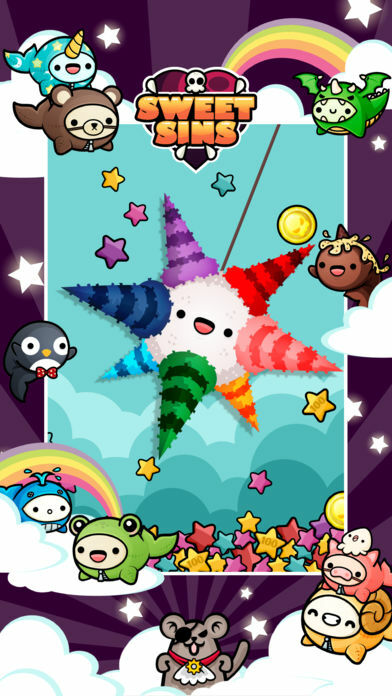 Download the cutest game in the history of ever! !